In the run up to the vote in the US Trump was getting a lot of slack. Americans, including president Obama were beyond themselves with worry that if elected Donald would bromance the Russian president Putin. 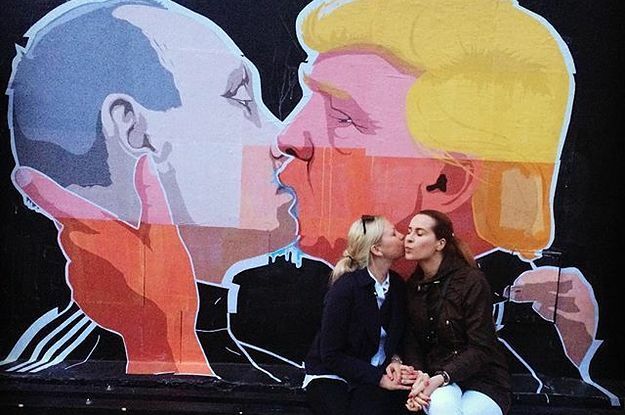 But if Trump does so it won’t be the first Russian-American presidential bromance. Sadly the bromance was ended in 2011 when Obama cheated on Dmitry prompting papa Vladimir to call the disgraced Dmitry back home and fill the president’s seat himself. In March 2011 Russia on Medvedev’s request abstained from vetoing a UN Resolution authorizing a “no-fly zone” over Gaddafi’s Libya. The US then proceeded to establish just such a no-fly zone as well as bomb the country, invade it, topple its ruler and end its existance as an actual state. This was the end of Medvedev’s presidential career.